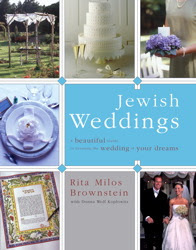 The Jewish holiday of Purim is less than three weeks away. Although charity boxes, or tzedakah boxes (in hebrew) are a part of everyday life in a Jewish home, this holiday is a wonderful time to get into the giving habit--because during Purim we are required to give gifts of money to at least two needy people or worthy causes. 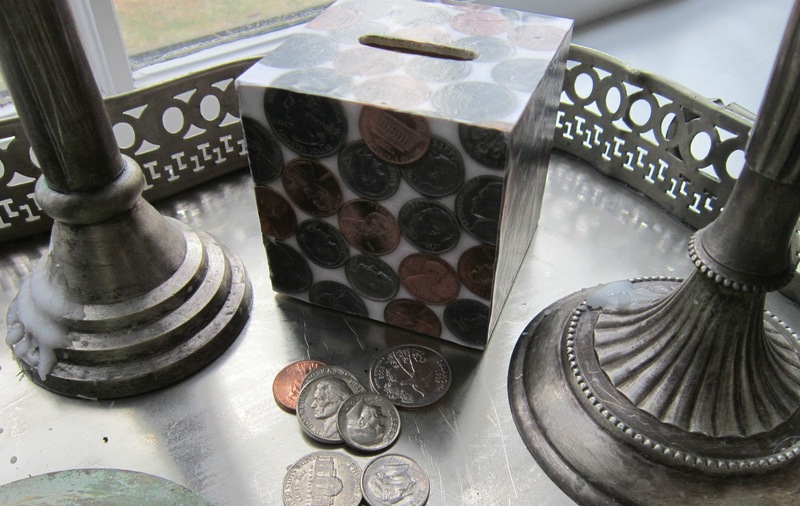 I wanted my tzedakah boxes to reflect my taste and look great in my home, so here are a few ideas I tried--I'm very happy with the results. I started out with plain unfinished wood banks that I ordered online from Oriental Trading Co. here. 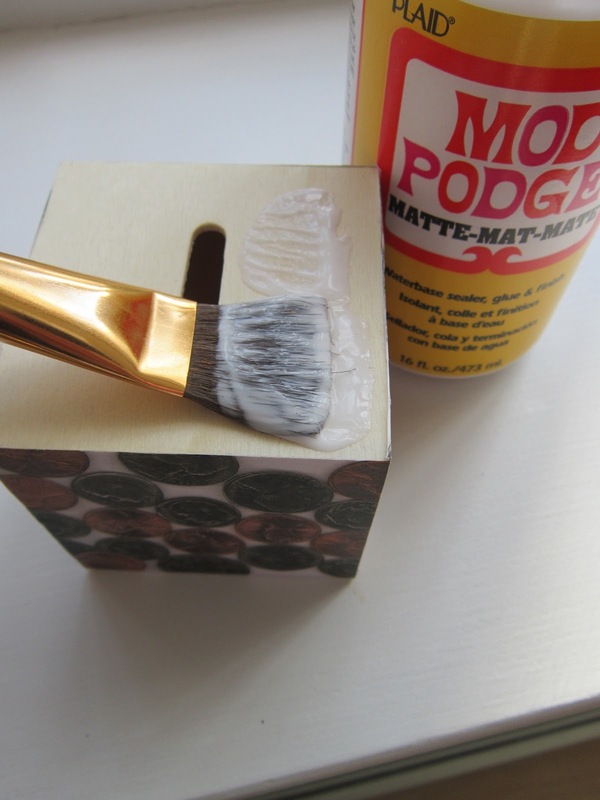 I used Mod Podge glue to decoupage paper onto the boxes. 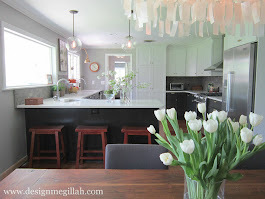 (You can see my decoupaged table from this previous post). 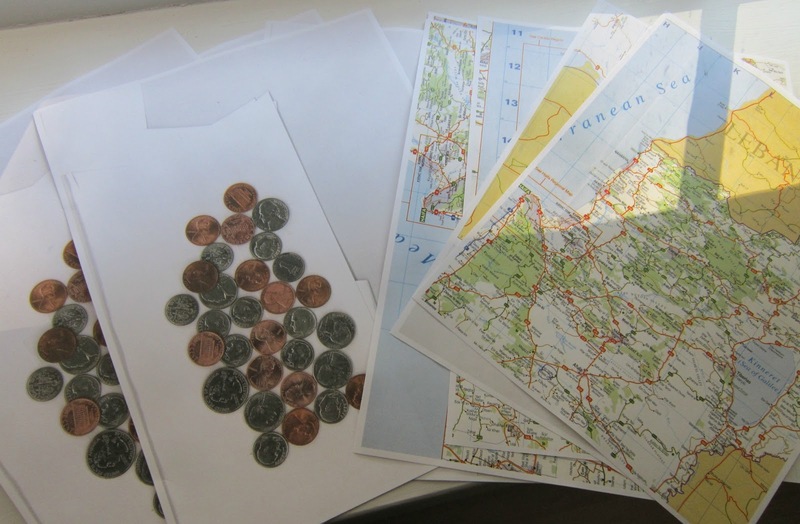 First I made colored copies of coins and a map of Israel. After cutting out small squares of the colored copies, I pasted them onto each side of the box with the Mod Podge glue as shown below. After all the sides were glued, I brushed more glue over the tops of the paper to seal it. 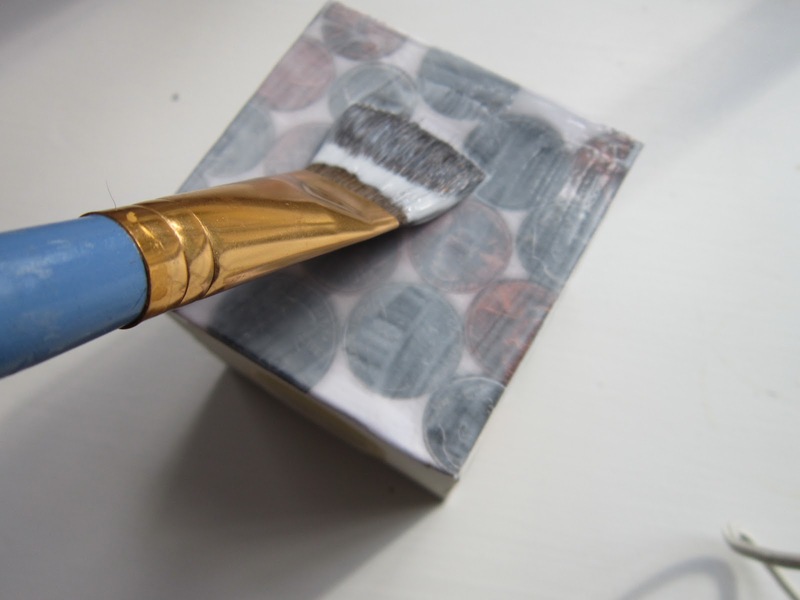 Don't worry that the glue looks white, it will dry clear. 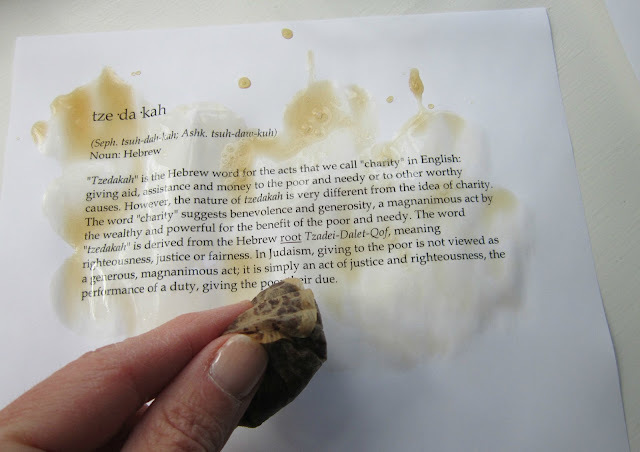 The tzedakah definition was printed out from my computer and given a tea stain with a wet tea bag for an antique, modeled look. 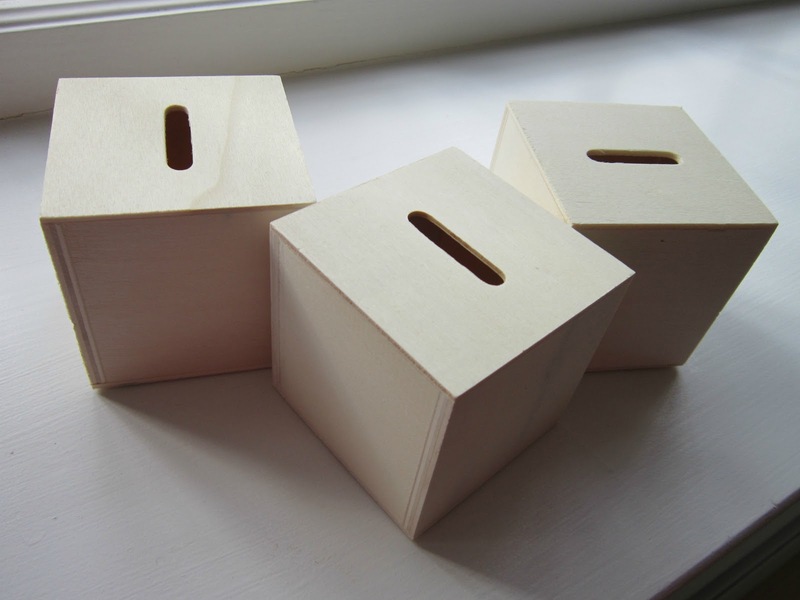 Although these are simple and elegant, I'll soon be making some fun, whimsical, tzedakah boxes just for kids! LOVE! Especially the last one with the definition on it! Thanks so much for sharing on Craft Schooling Sunday, you're an invaluable addition to the party! I love this! This would be fun to do with my daughter's class. 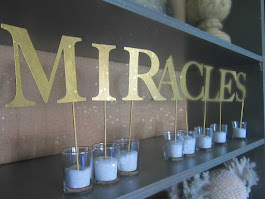 Yes, you could do this with a class--It's easy and the glue dries pretty fast. 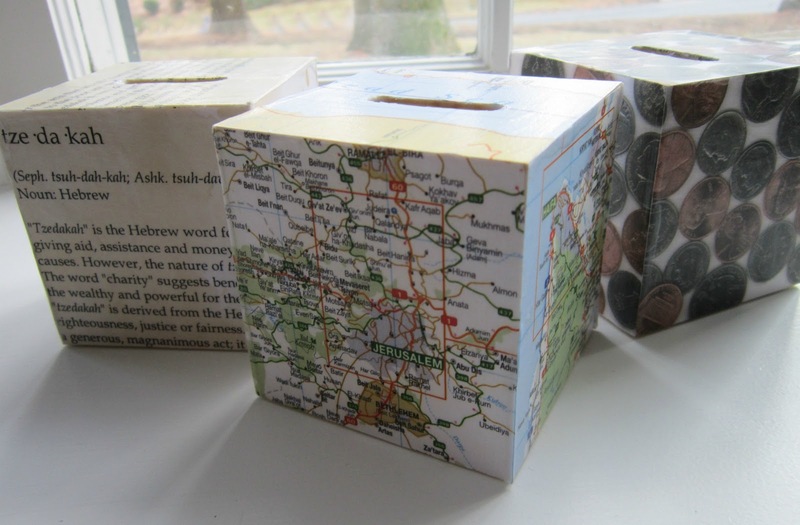 You can buy other pretty papers like wrapping paper or even a printed paper napkin! VERY cute! I'm going to share. These are great! I adore this idea. Really creative. 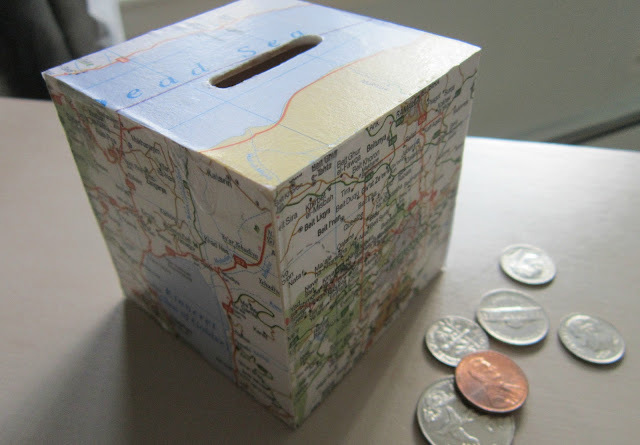 Love these and want to do them for a class I'm teaching. I can't seem to find the image of the tzedekah definition. 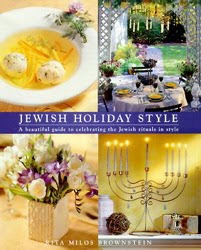 Do you have a link to where you found that image at? I tried google images but can't find that one. The map one too. Thank you! I googled the definition, then copied and pasted it in a Word Document. For the map, I googled "map of Israel" and found many images which I printed out in color. Good luck. This is great--thank you for posting. 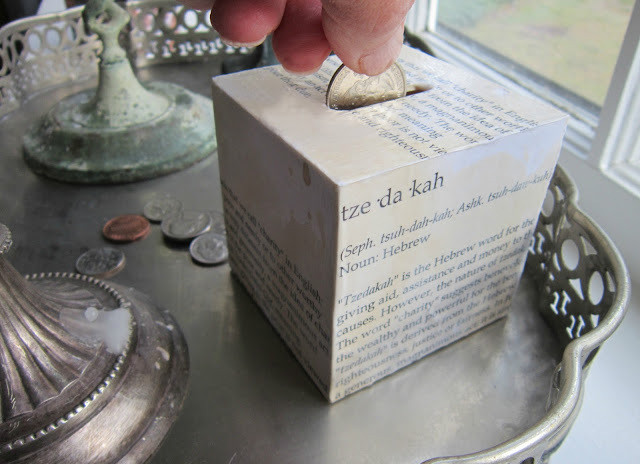 Question: Where is the opening to take the tzedakah out--?